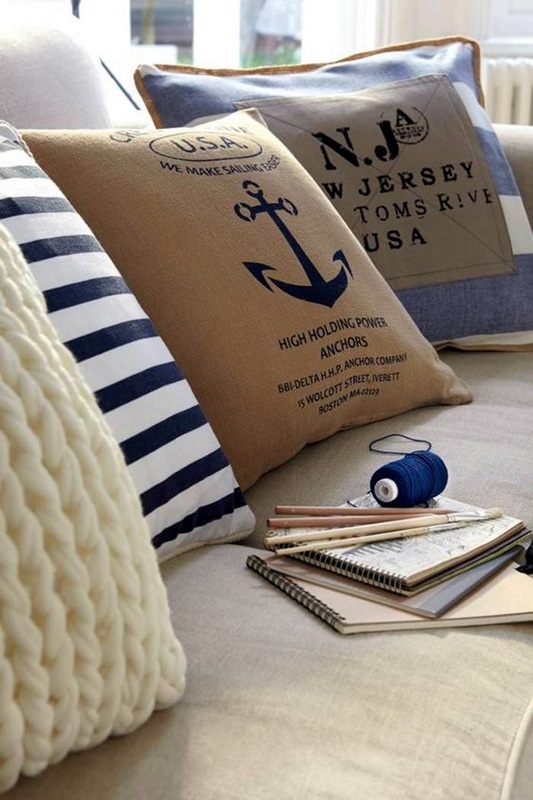 Have you ever thought about the source of our ideas, concepts, likes, preferences and dislikes? 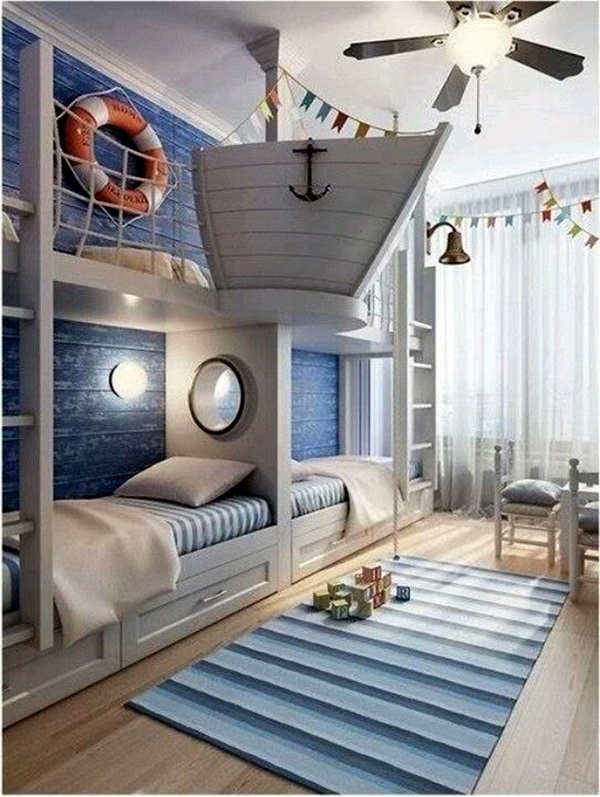 The thing is most of us are not simple humans who have no thought in their mind except for the basic needs of life. 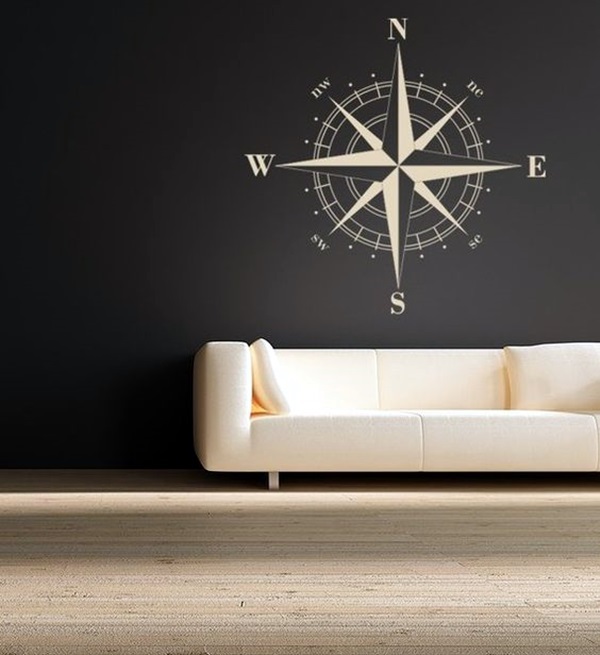 While these are important, our minds are more complex than we think. 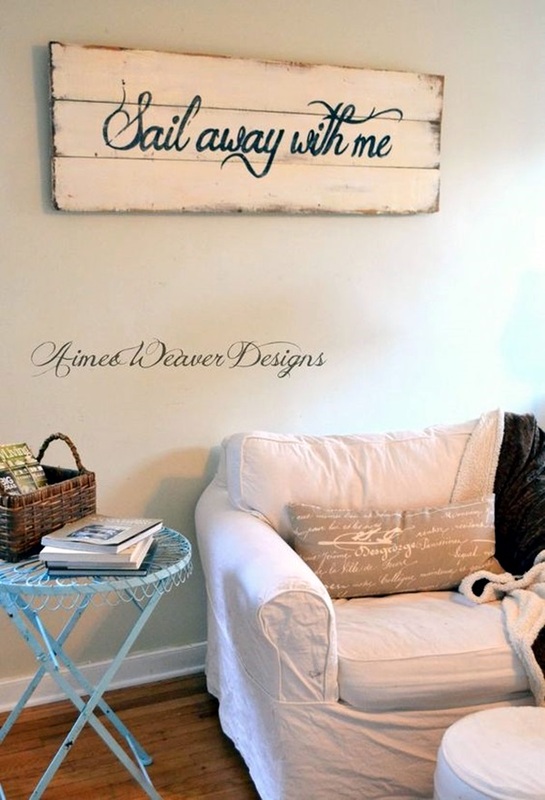 We have likes and longings that are deep and rooted in our backgrounds. 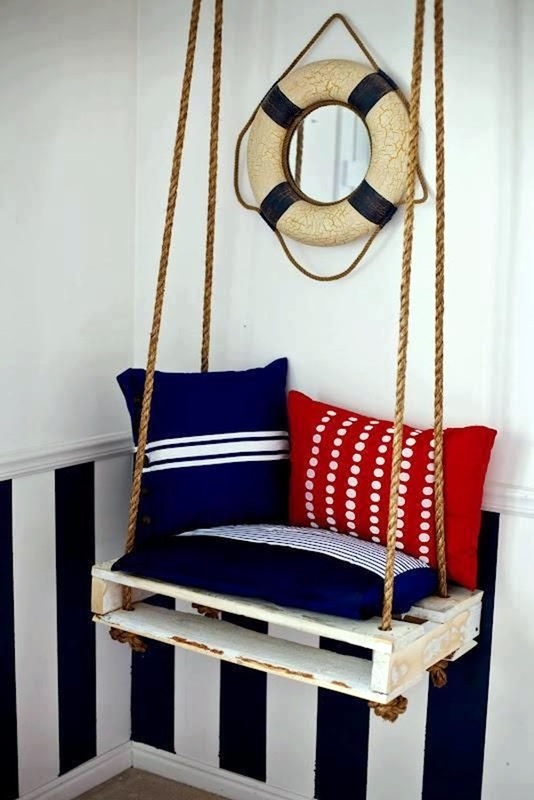 That is why you will not be surprised at the way we like to decorate our homes with certain themes in mind. 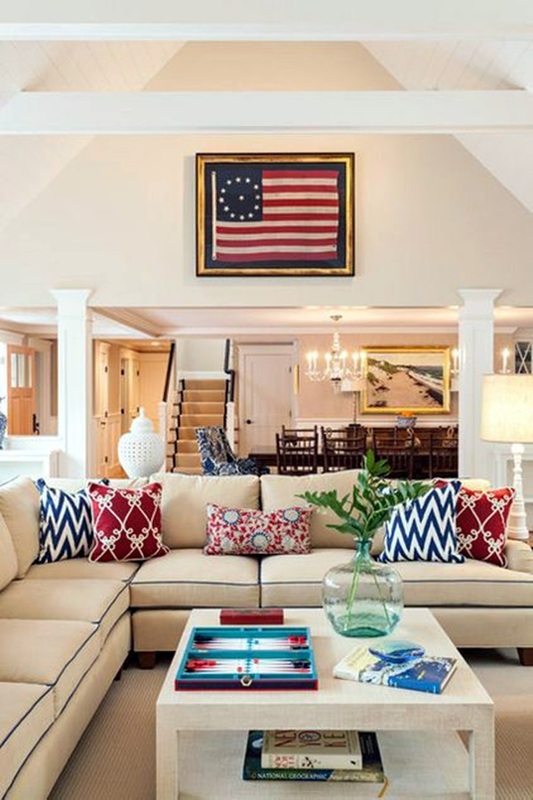 Our preferences in art are something that comes from a complex and intricate mindset that have their roots in our lives and experiences. 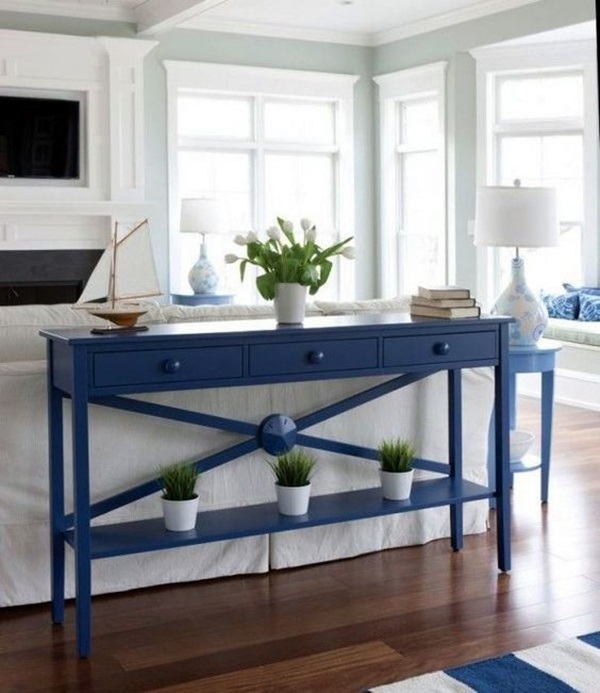 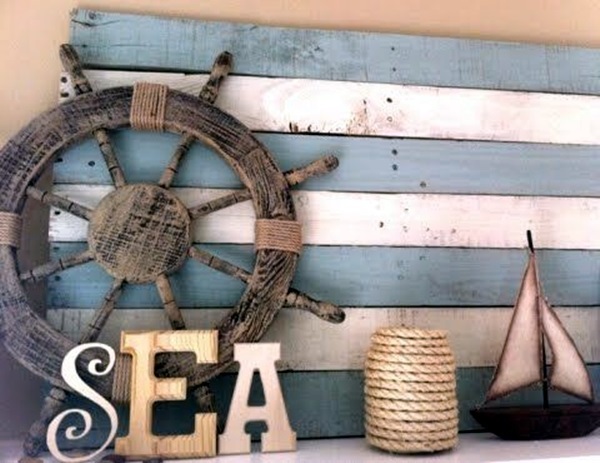 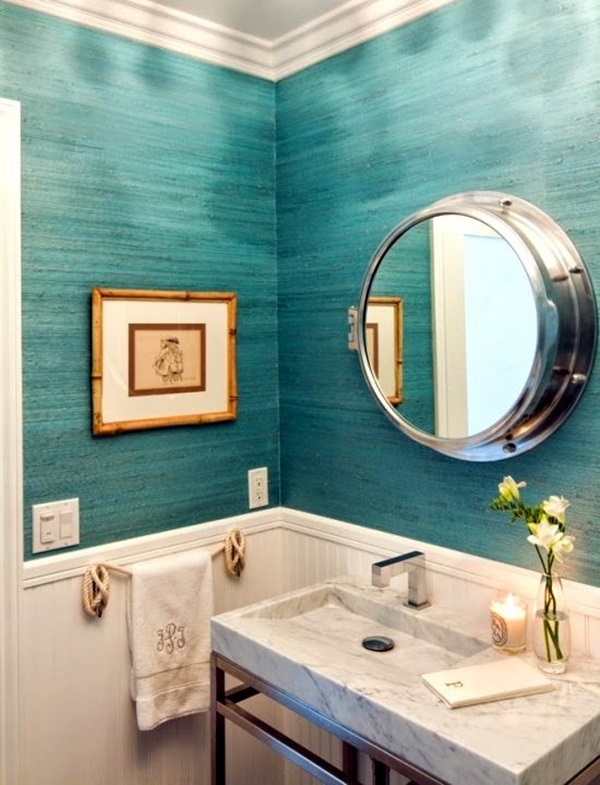 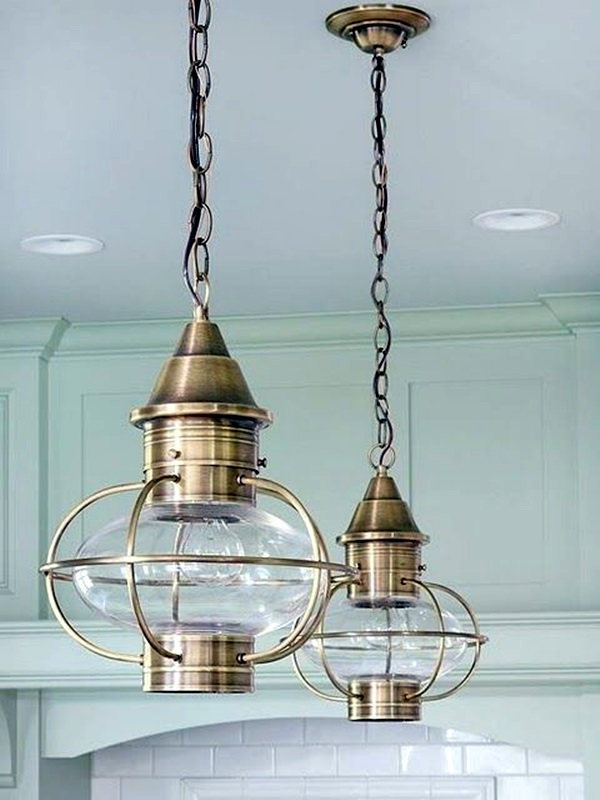 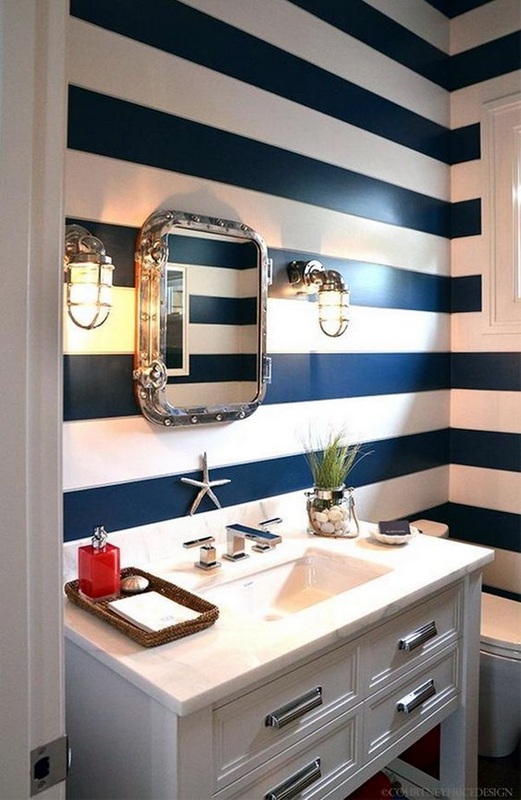 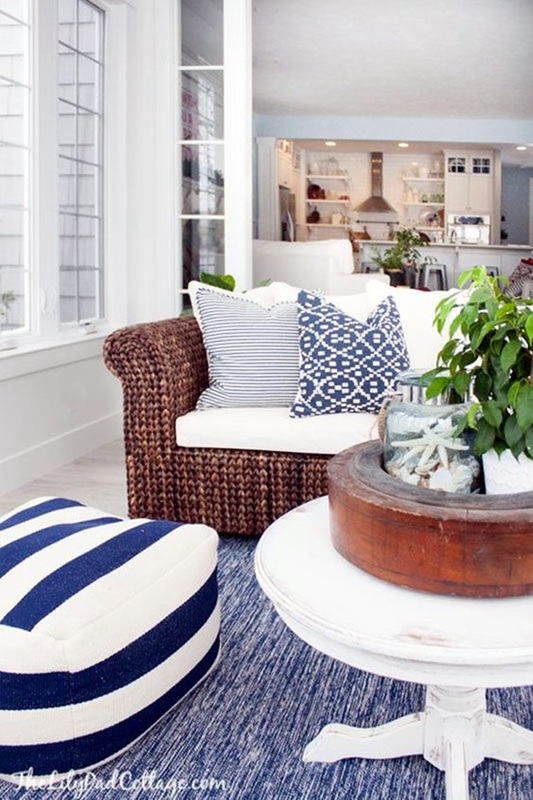 In this article, we will look at nautical decoration ideas for your home. 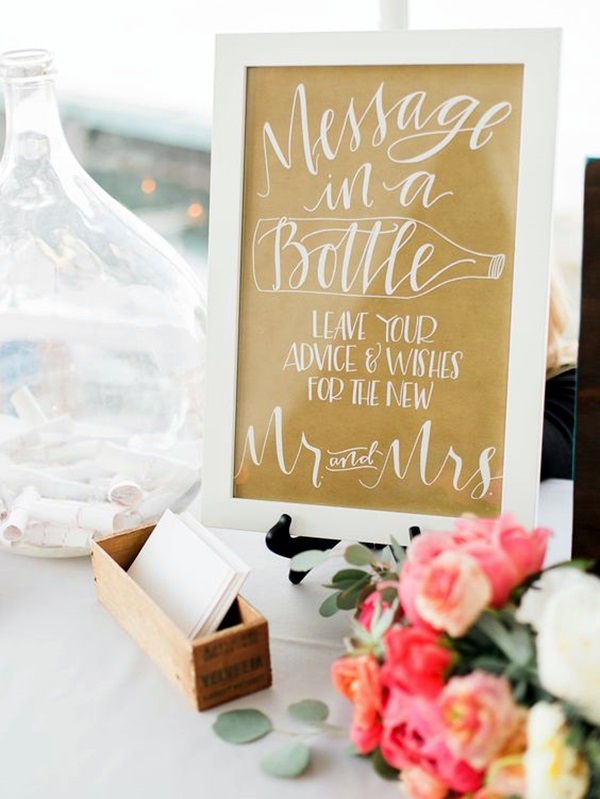 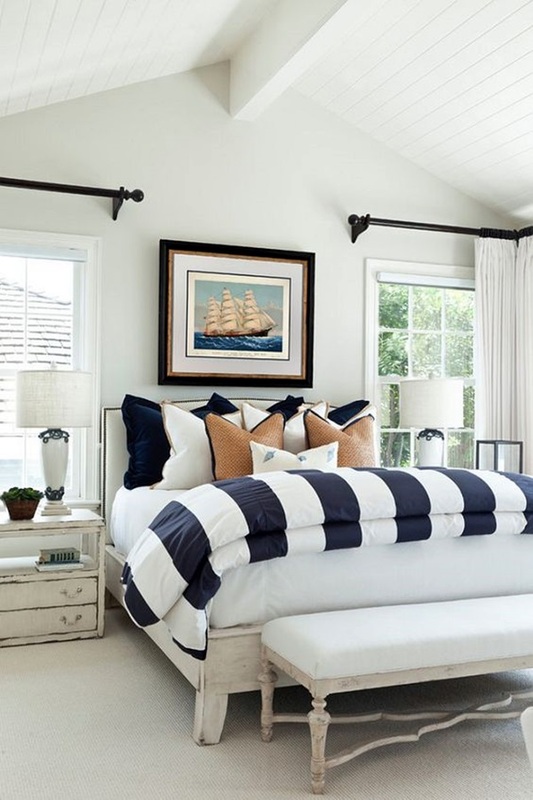 We are sure that those among you who have a deep seated affinity for the sea, the oceans, and all things nautical will love this theme. 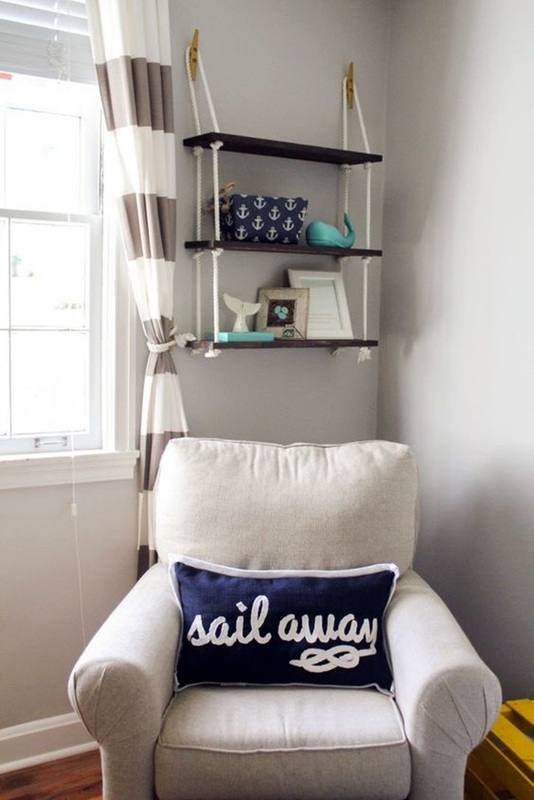 People show their affinity for all things nautical by many means like their knowledge of anchor tattoo meanings and designs among other things. 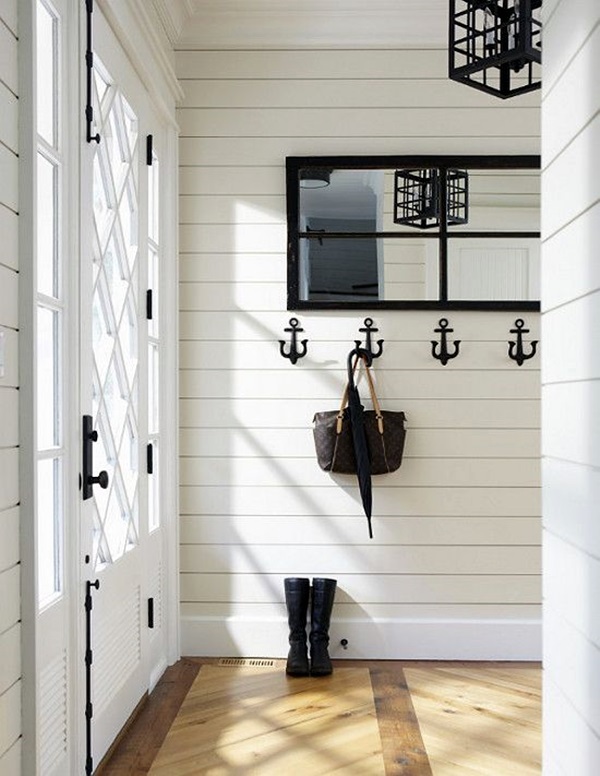 The nautical theme of decoration can constitute of many elements like the shell, the anchor or the compass or any other elements from the sea. 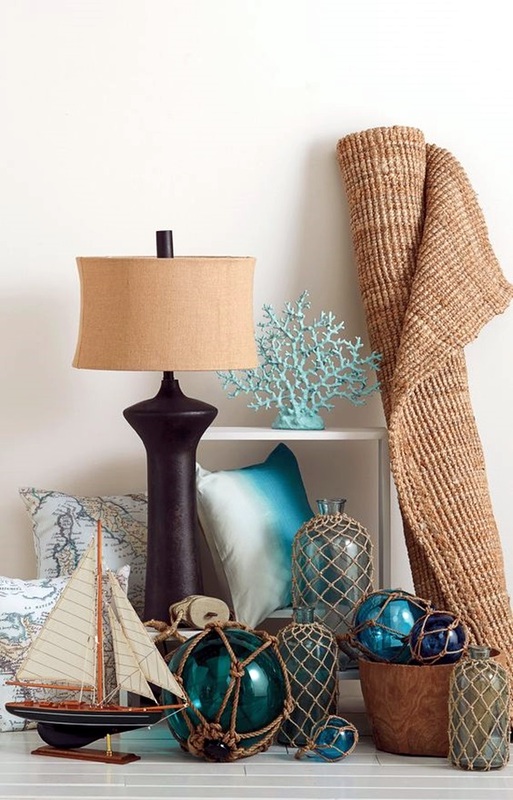 You can imagine the shell – a gift from the sea is something that can add to the beauty of your home in so many ways. 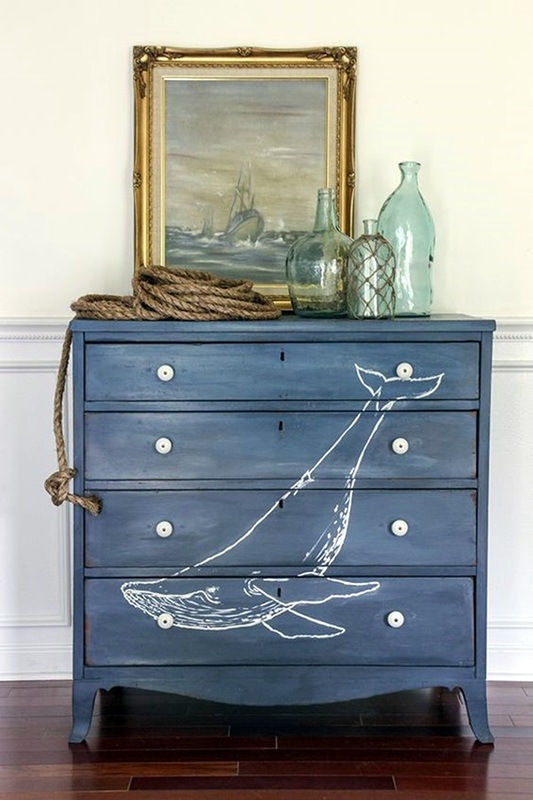 It is after all something that is not only beautiful and mysterious but also an object that has come out of the ocean having been subject to the steady pressure of water and the tides. 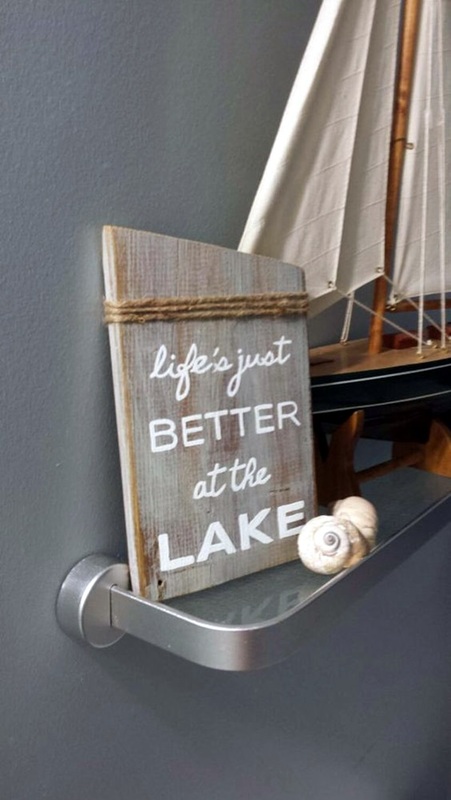 We are sure that even those among you who are scared of water and thereby the seas and oceans cannot deny that these are part of the breathtaking vistas of nature. 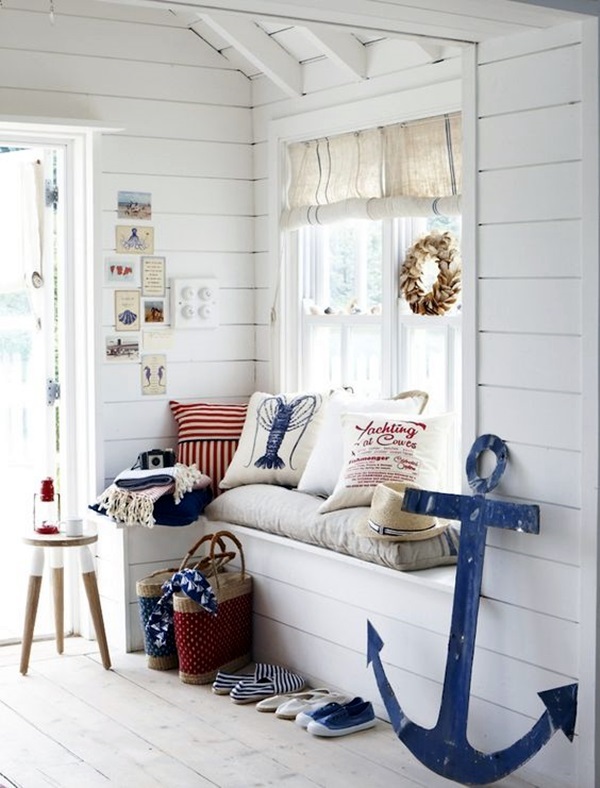 The ideas and themes based on the nautical idea could be varied and could consist of many elements. 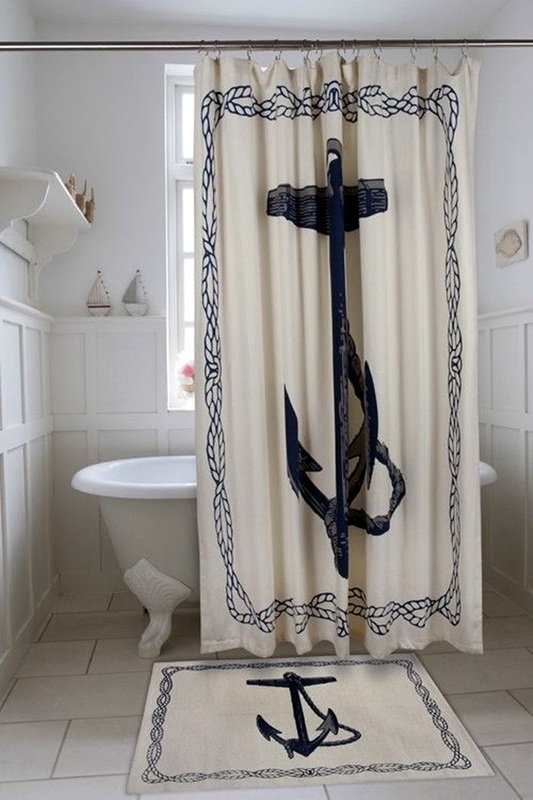 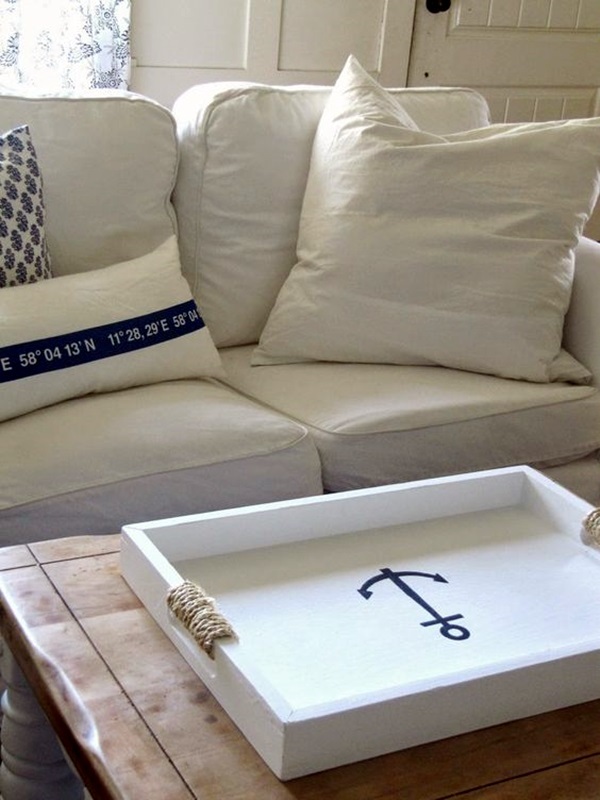 The anchor: The anchor is a big part of the nautical theme and this can play a huge role in the decoration of your home. 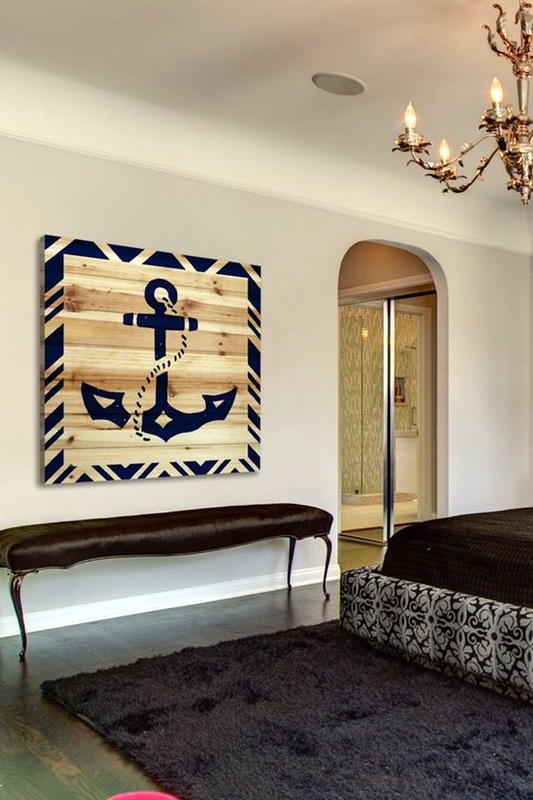 You can either have this motif as part of the wall decoration or as part of the paintings and other decorations of your home. 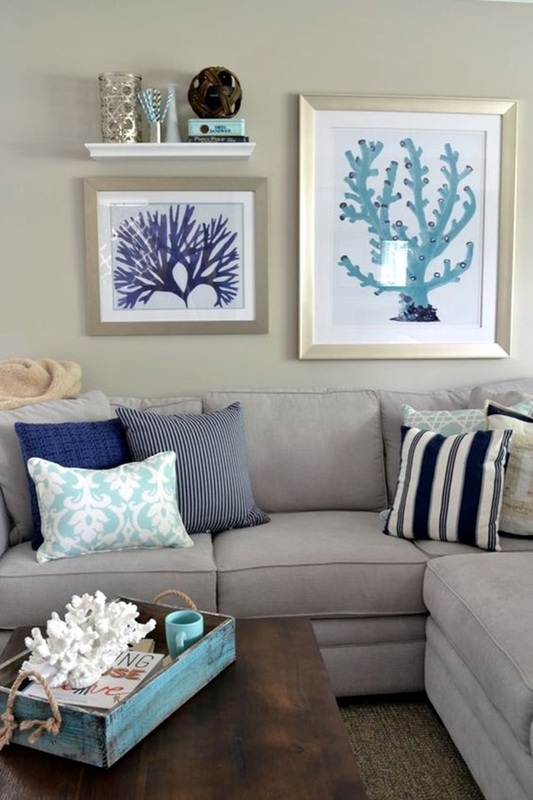 Shells and sands: The shells are something that we have mentioned before and since they are such a beautiful element from the oceans and seas, they deserve another mention. 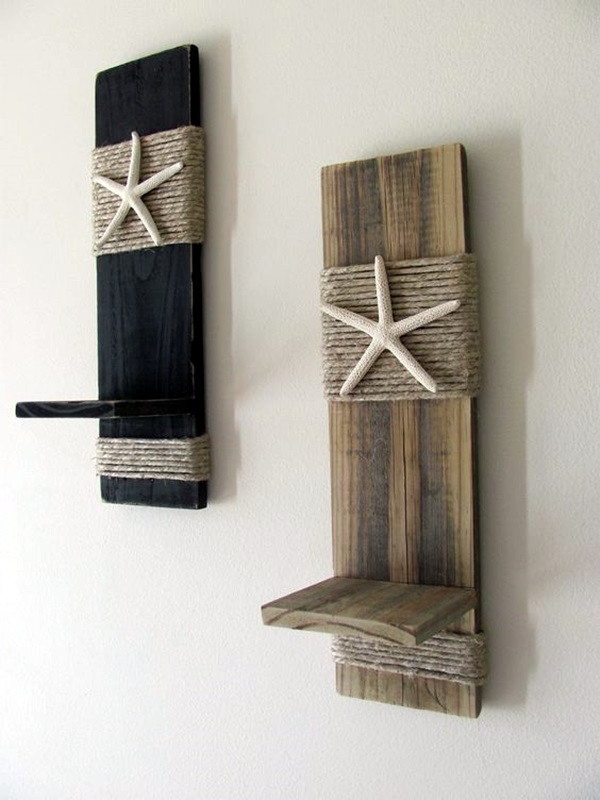 The use of shells can be made in jewelry and many showpieces that can add to the beauty of the home. 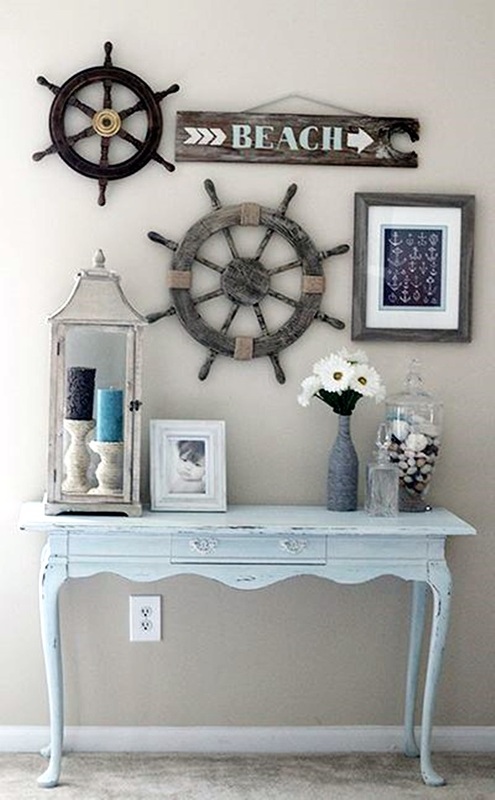 You can actually use sand and shells to line fish tanks and flower beds to create a nautical theme. 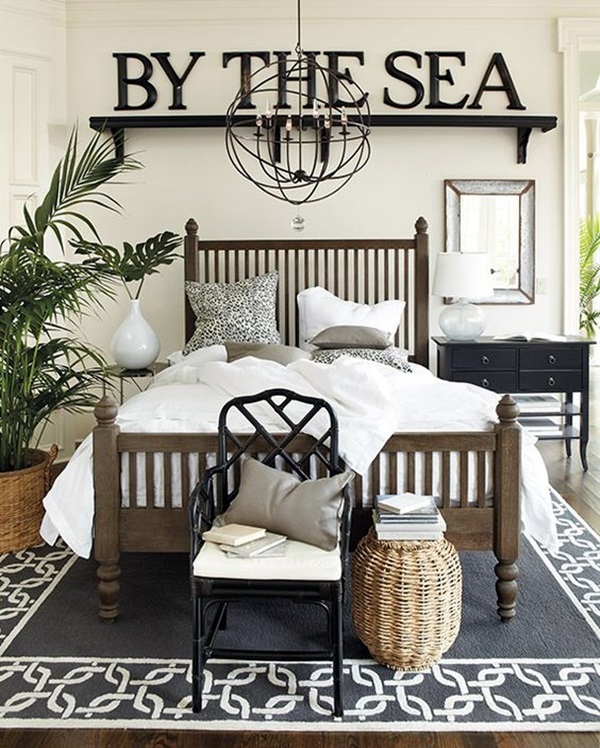 Creatures of the sea: The sea has many creatures like the octopus, the shark, the whale, the oysters to name just a few. 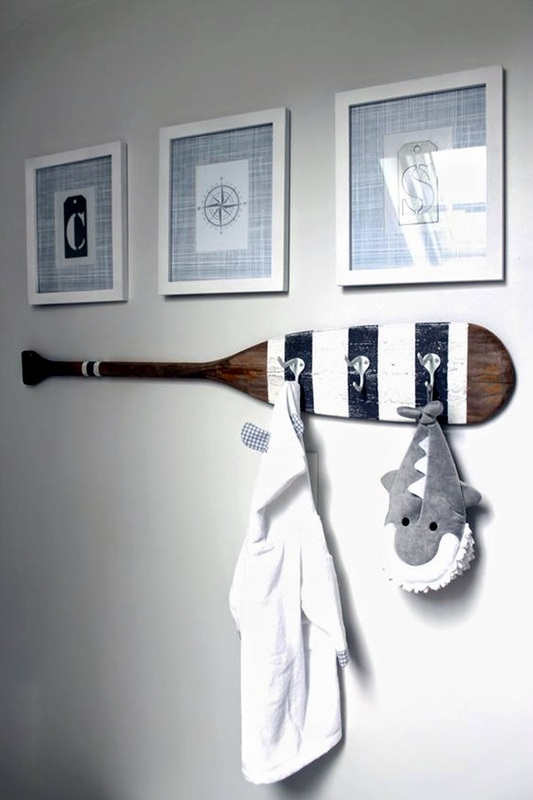 Decoration elements in the shape of any of these creatures can make your home look more like a nautical area. 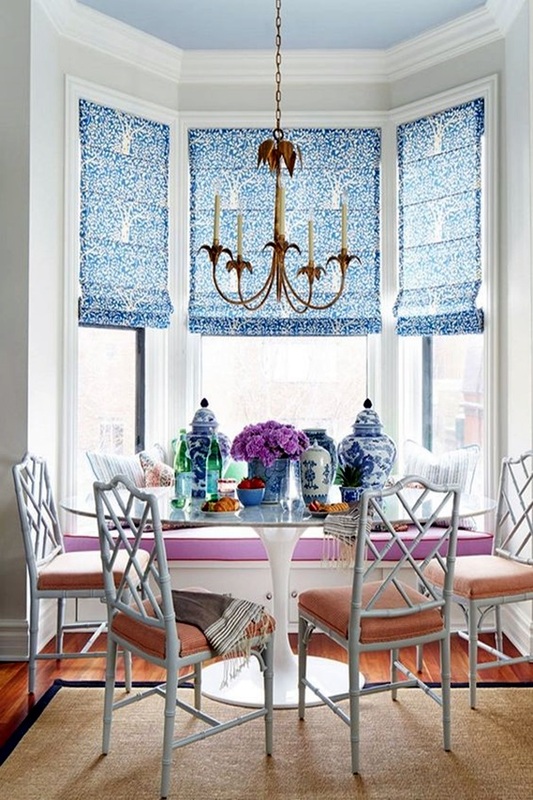 You would be surprised at how many items of this motif and theme that you will find once you start looking for them. 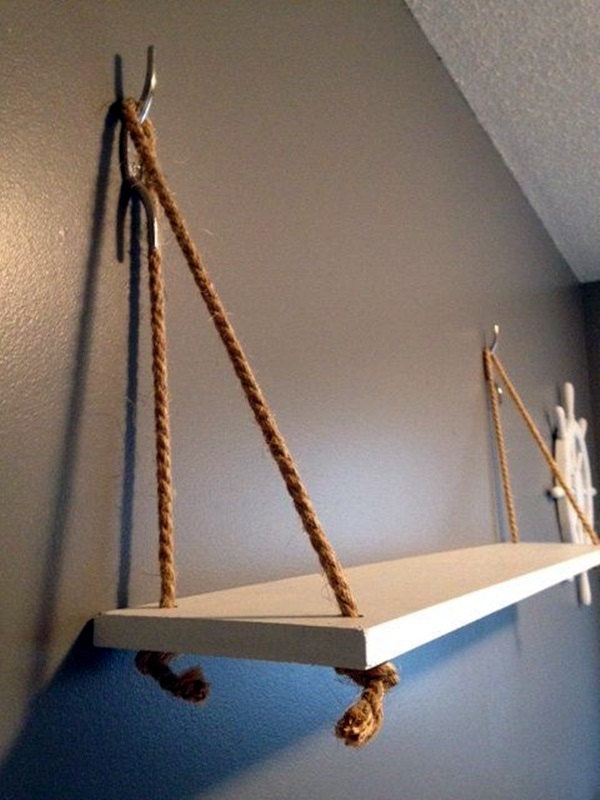 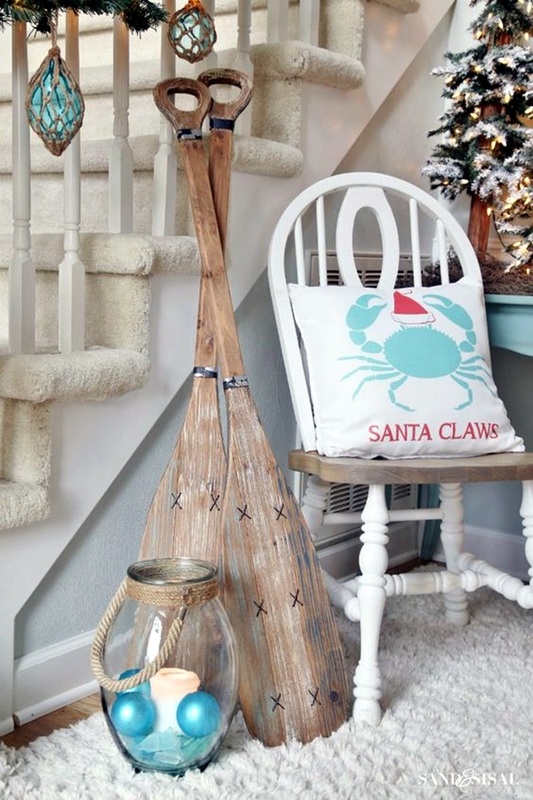 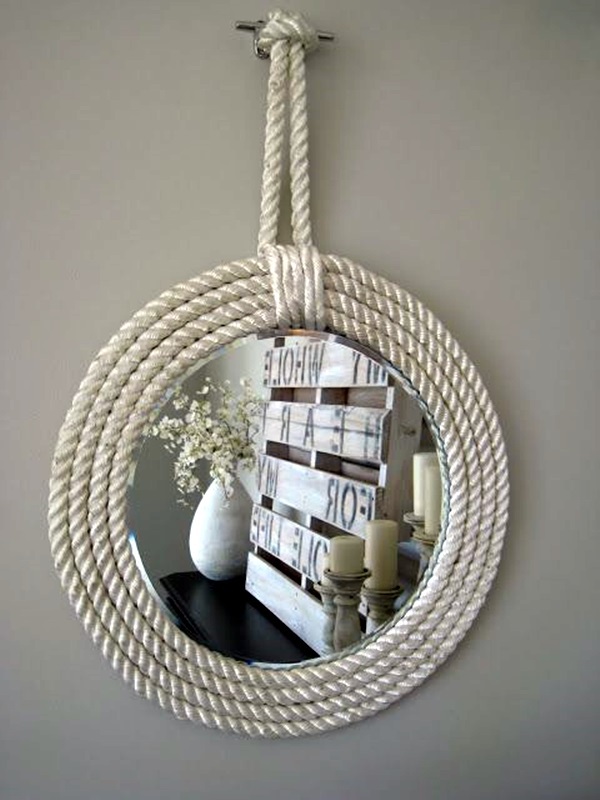 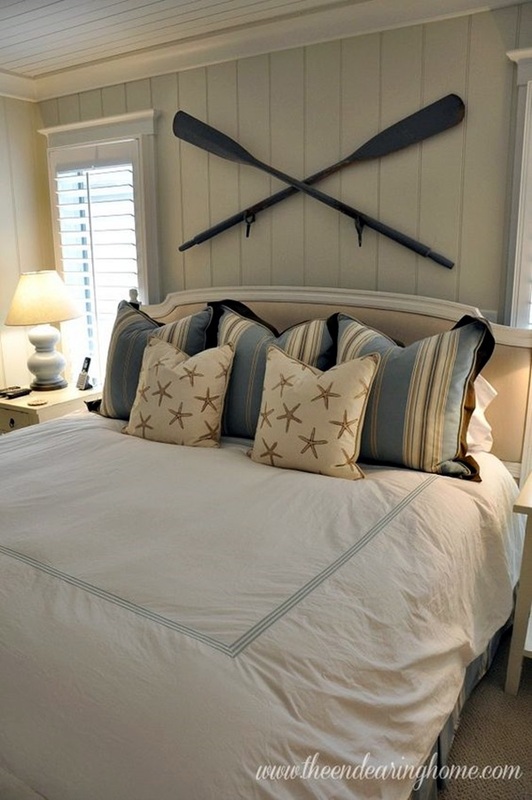 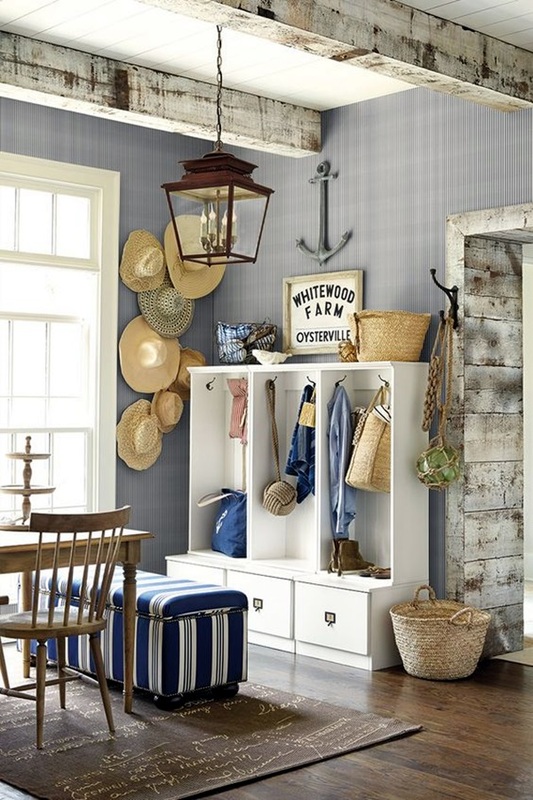 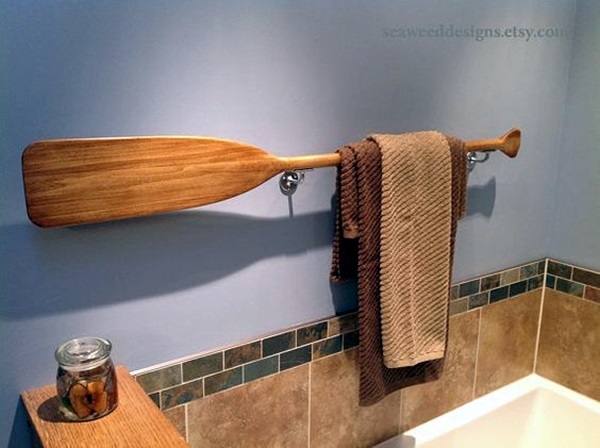 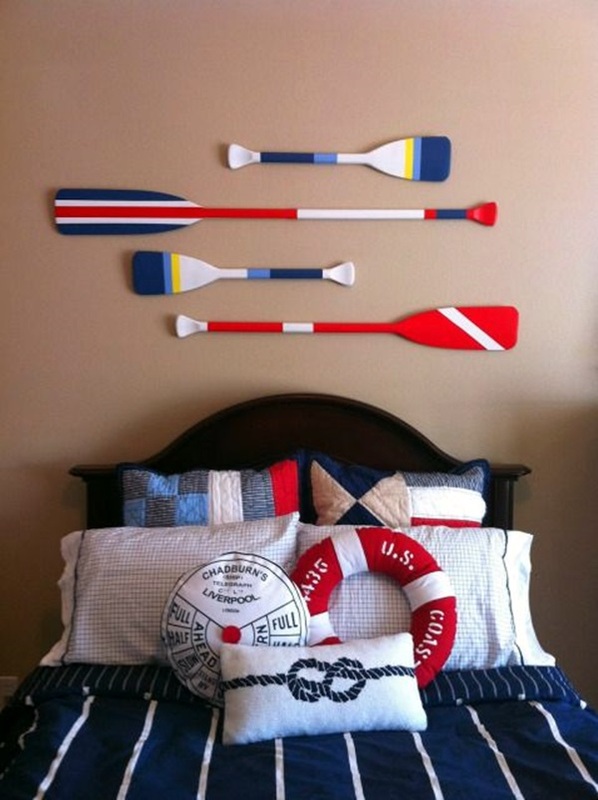 Oars, ropes and floats: The use of oars and ropes can also be done to create a nautical theme around the home. 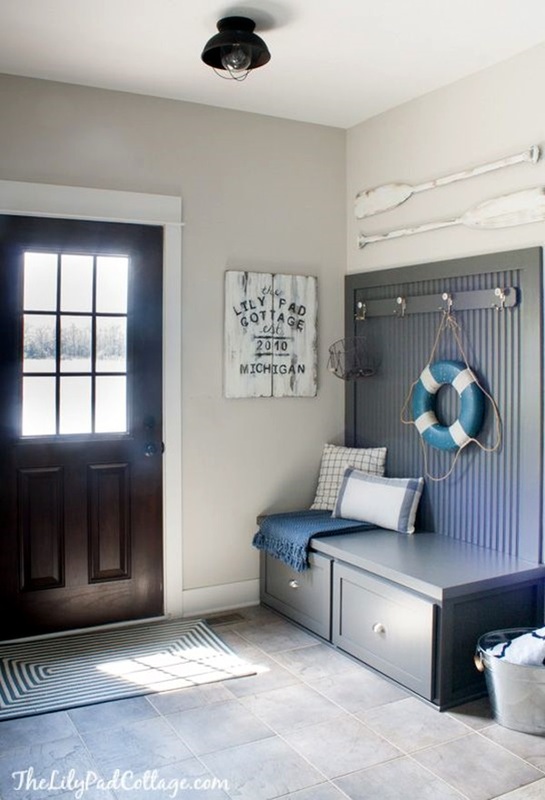 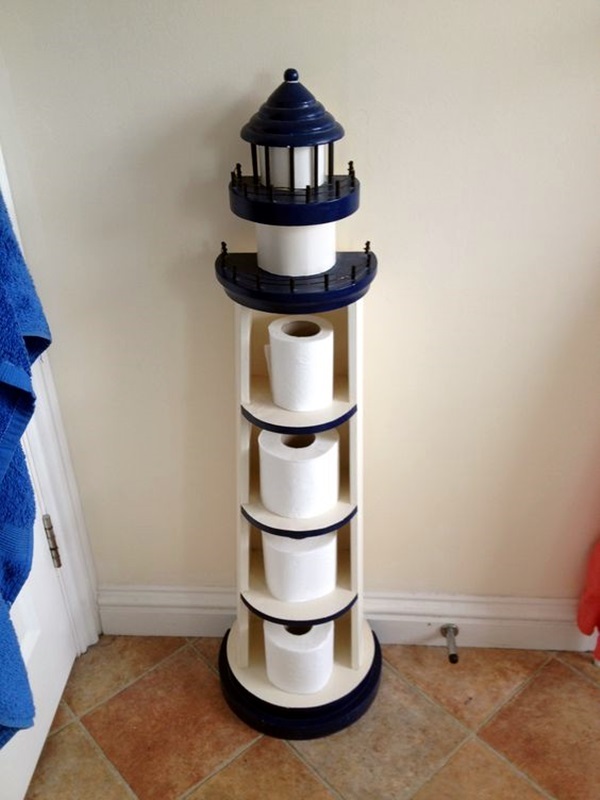 The wheels and floats that are littered around the boat to be used as lifesavers are also something that can be handy when it comes to making your home pretty. 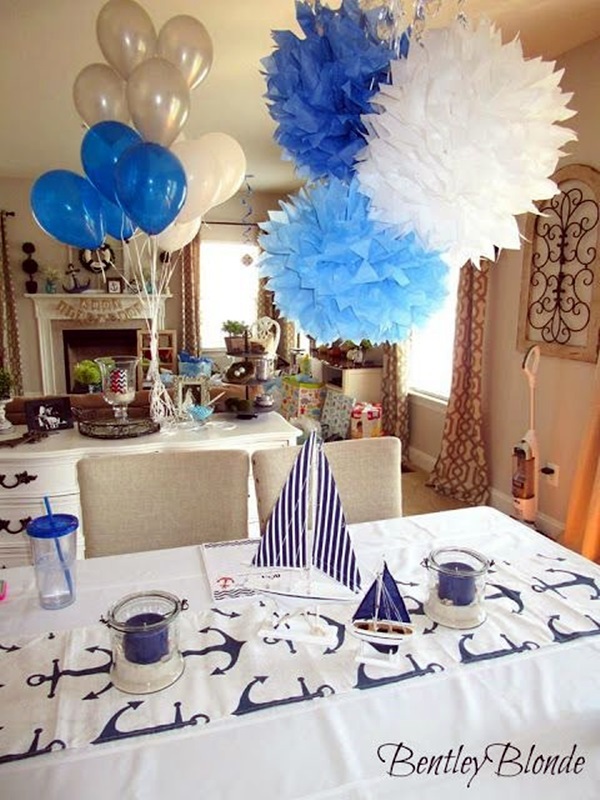 The suggestions that are given above around the nautical theme are only a few from this theme. 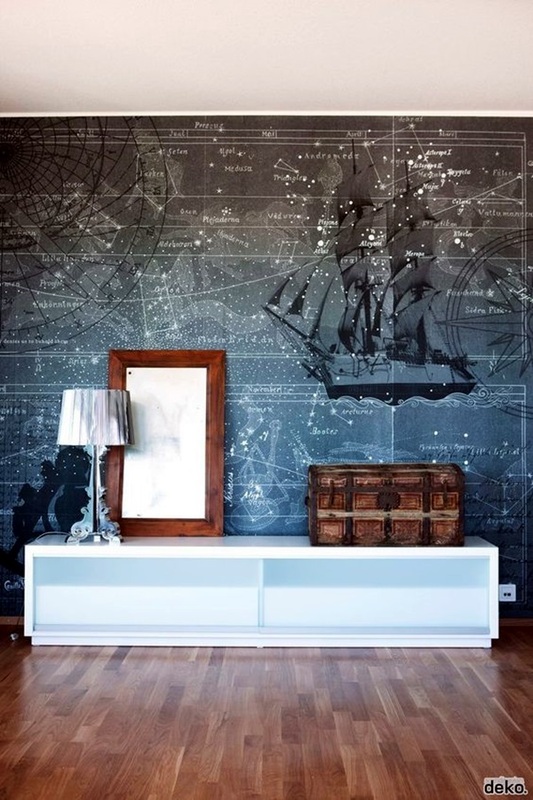 The more you think about it, the more ideas and motifs that you will find. 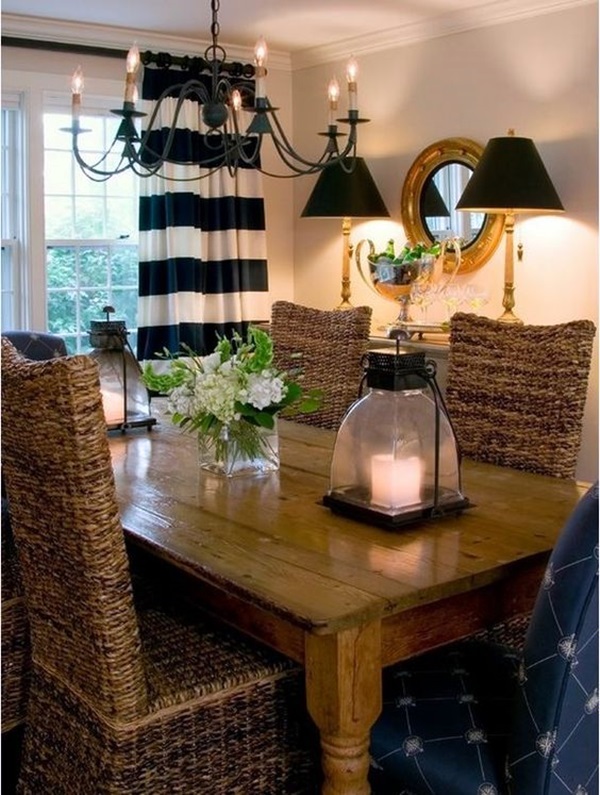 It is only a matter of taste and liking that will drive your choices in this regard apart from constraints like the budget and the time available at your disposal.